You have added Camryn Crochet Lace Sheath Dress in Lime into shopping cart. This lace sheath dress is the perfect combination of fun and girly. The Camryn Crochet Lace Sheath Dress is fully lined, except at the neckline, sleeves, and top back, which are semi-sheer. 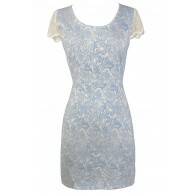 It is made of ivory floral crochet lace and is lined in a contrasting color. This dress features a rounded neckline, cap sleeves, and an empire waist. The bust is lightly padded for support, and an exposed back zipper completes this dress. The classic sheath cut of this dress works for so many occasions! Pair it with beige or ivory pumps or wedges for a girly style. Details: Lined except at neckline, sleeves, and top back. Lightly padded bust. Exposed back zipper. 100% polyester. Lining: 100% polyester. Dry clean only. Small measurements: Length from top of shoulder to hemline: 33". Bust: 32". You have added Camryn Crochet Lace Sheath Dress in Lime into Wishlist. You have added Camryn Crochet Lace Sheath Dress in Lime for Stock Notification. 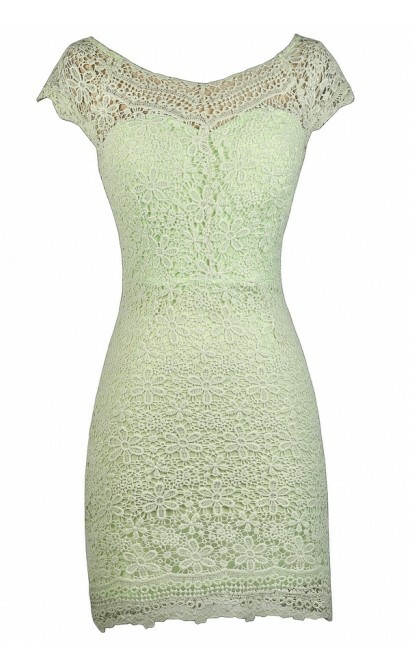 You have set Camryn Crochet Lace Sheath Dress in Lime as a loved product. 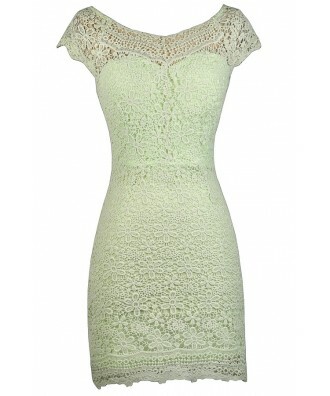 You have removed Camryn Crochet Lace Sheath Dress in Lime as a loved product.